Manufacturer & Exporter of Stainless Steel 347H Round Bars & UNS S34709 Round Rods, SS 347H Bright Bars, Steel 347H Rods, 347H Hexagonal Bar Suppliers in India. We are the trustworthy & leading manufacturer and exporters of Stainless Steel 347H Round Bars that is manufactured using high quality of pure metal and alloy as a raw material. 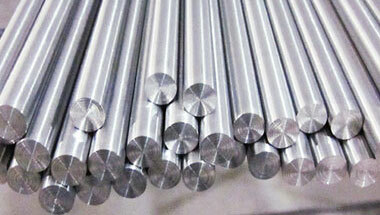 These Stainless Steel 347 H Round Bars are available in various specifications. Our SS 347H Round Bars are supplied in different sizes and shapes to the customers. We also offer these Stainless Steel 347H Round Bars as per the specifications to meet the requirement of heavy industry. We provide Stainless Steel Round Bar and Steel Round Bar, which are widely used in local as well as international steel market. These Stainless Steel 347H Round Bars are available in various dimensions and shapes and we offer these in various range. This SS 347H round bars are widely used in application such as Chemicals, Fats & Fertilizers, Sugar Mills, Distilleries, Cement Industries, spin, shipping, automobile and engineering industries. This SS 347H round bars offered by us at industry leading prices, these sheets are highly appreciated. Stainless Steel 347H Round Rods Manufacturer, SS 347H Forged Bar, Steel 347H Hex Bar, Stainless 347H Hollow Bar, WNR 1.4961 Black Bars Supplier in India. Bahrain, Turkey, Morocco, UK, Cameroon, United States, Canada, Uganda, Jordan, Malaysia, Peru, Kazakhstan, Italy, Iraq, Australia, Azerbaijan, Egypt, Ghana, Kuwait, Houston, Democratic Republic of the Congo, Sri Lanka, Israel, London, Mexico, Indonesia, Iran, Vietnam, Ethiopa, Saudi Arabia, Nigeria, Venezuela, Chine, UAE, Dubai, Russia, Colombia, Sudan, Germany, Africa, South Africa, Thailand (Bangkok), Brazil, Algeria, Trinidad and Tobago, Tunisia, New Zealand, Argentina, Angola, Mozambique. Lusaka, Muscat, Brazzaville, Cairo, Kinshasa, Harare, Mecca, Luanda, Dar es Salaam, Omdurman, Giza, Jeddah, Maputo, Bulawayo, Fez, Zaria, Dubai, Dammam, Freetown, Ouagadougou, Jerusalem, New York, Kano, Colombo, Beirut, Tripoli, Cairo, Maiduguri, Istanbul, Mbuji-Mayi, Addis Ababa, Yaoundé, Tehran, Mogadishu, Durban, Lubumbashi, Singapore, Dakar, Johannesburg, Abu Dhabi, Kampala, Manama, Ibadan, Sharm el-Sheikh, Douala, Pretoria, Kolwezi, Rabat, Antananarivo, Conakry, Lagos, Abidjan, Alexandria, Benin, Algiers, Bethlehem, Nairobi, Riyadh, Aqaba, Subra al-Haymah, Cape Town, Kaduna, Accra, Data from the UN, Port Elizabeth, Amman, Soweto, Casablanca, Khartoum, Tel Aviv, Doha, Port Harcourt, Byblos, Bamako, Hong Kong.